I just returned from 10 days in South Africa where I had the honor to witness the awesome perfection of nature. Thanks to Jennae Tachea and Access2Africa safaris, (www.access2africasafaris.com)( Contact Jennae email -jennae@vodamail.co.za) I was able to get closer to nature than I have been in the 33 years I've been a quadriplegic. Because of her wealth of experience and great knowledge about the needs of the disabled, I had no difficulty with bathroom facilities, transportation or accessible restaurants. This was the first time in 33 years I didn't have to worry about details. What a relief! Our party, which included friends and family, was treated to a luxurious first day at palatial gardens of Makaranga Lodge where we had no responsibility but to enjoy the beauty around us. The grounds were completely accessible, the monkeys were playful, the original sculptures were powerful and the view was indescribable! A little later, we were introduced to our friendly and knowledgeable guide named Dave who seemed to know everything about the flora and fauna of South Africa. We left the well manicured flora in that 5 star resort to have a completely different cultural experience. We were first taken to Leopards Walk, a Lodge with breathtaking views of the wildlife that is South Africa. Our chalet consisted of a very comfortable bedroom, bathroom with a wheel in shower and a hot tub! 3 of the walls were all glass which enabled us to see whatever animals were around as soon as we opened our eyes. This was a wonderful experience with warm and generous hosts. Later that day, we were taken to one of Africa's many game preserves was simply breathtaking as we watched elephants, water Buffalo's, giraffes, hippos and many other species in their natural habitats. Natures perfection! Dave was so knowledgeable that he was able to spot some 25 elephants who would be crossing the road right in front of us. So he moved our vehicle in such a way that we were surrounded by these magnificent 4 ton animals as some came within 30 feet of our vehicle! Hearing what we humans have done to this animal population, I felt ashamed of my species. But that was all to change the next day. I think the highlight of the trip for me was a visit to the Khulani Special Needs School. This is a school in the heart of rural Zululand which caters to over 100 children with a wide variety of disabilities from cerebral palsy to autism to intellectual disabilities and many more. This school had very little money to work with and children (all residential) slept on the floor on mats and not all of them had blankets or shoes. Their wheelchairs were not in good shape and I was told they didn't have equipment or parts. I watched as children with autism pushed children with cerebral palsy in broken down wheelchairs over this sandy terrain as both of them were laughing. There was no dining room as meals were picked up by each student and taken outside to be. And yet these children seem to be happy and filled with love. I spoke a few words to them and they surrounded me as I felt bathed in their sweetness. At that moment, I saw the best of humanity. One of my great life lessons came from the woman who founded this school many years ago. She was now aging, overweight and walked with difficulty on a cane. Yet she had this beaming smile. I commented to her about how happy she looked to which she said: "as long as my hut is clean, I am happy." How many of us would be happier with that perspective. And yes, I got to pet big cats, elephants, watch hippos while I was riding a wheelchair accessible riverboat. One of my fellow travelers said that it would be very difficult for her to go back to the "real world". "No, I said "this is the real world. Most of that stuff back there is the outward manifestation of human egos trying to move mountains. Where we are in South Africa we were surrounded with people who don't try to move them-they honor them. "I'm making arrangements for my return trip as we speak. Berlin's construction policies are aimed at removing barriers. To identify the requirements for an accessible city a short film was created on behalf of the Senate Department for Urban Development and the Environment. All Berliners and guests should be able to move freely throughout Berlin. We do not wish to hinder anyone! On the contrary, as we all have to cope with daily challenges additional barriers are even aggravating. And after all, in its colourful diversity Berlin wants to allow and enable all a self-determined participation in public life. Moving freely in Berlin to own personal capabilities and meeting with others means more quality of life. We all want to cope daily routes and transports, and shaping our living, working and leisure time should be unrestricted. For each of us. We want to offer all residents a barrier free city. Public buildings and spaces need to be changed so that all can use them. To achieve this, we will find comfortable, innovative and creative solutions. Berlin is a city worth living in, hospitable and welcoming and will keep this quality in the future, while facing the challenges of a growing city. It is with great pleasure that, the Nettles Artists Collective presents the show Apple of My Eye! An original piece written by Tathiana Piancastelli, a 29 year old Brazilian artist with Down Syndrome, the play tells the story of Bella, a teenager in search of love and social acceptance. Along with a cast of 10 actors and under the direction of Debora Balardini, Tathiana explores the themes of romantic love, "normality" and community through the use of movement, text and video. In this context, Tathiana comes on stage to enact her own freedom. As the protagonist, she invites us to travel the fluency of her boundless ways of thinking, proposing a non-judgmental approach of oneself while free of preconception of the other. Her text and presence onstage presents us with the possibility of intuitively using our senses to gain understanding rather than attacking sense from a place of conditioned rationality. Tathiana Piancastelli, the artist, is present, adult, mature and ready to face her own demons and gods using her work as a vehicle. She believes in her dreams and always wanted to be an actress. DECEMBER 15th PERFORMANCE will be followed by a Q&A "Breaking Barriers - Exploring views around the play Apple of my Eye"
Help us spread the word! We are proud of our project! Airlines will be hold to account when international airports do not meet disability standards of service required under US Equality law, the US DOT said. European and U.S. air travel equality laws differ significantly. In recent times, questions have been raised about the scope of applicability and the conflict between regulations. In this exclusive interview with Reduced Mobility Rights, a spokesperson for the U.S. Department of Transportation's Aviation Consumer Protection Division gives the American interpretation of the scope of applicability of the law. Co-Anchor and Managing Editor of PBS NewsHour Judy Woodruff hosts a discussion with Special Advisor for International Disability Rights Judith Heumann and the Honorable Patrick Murphy about the Disabilities Treaty and its connection to people with disabilities at home and abroad at the U.S. Department of State in Washington, D.C. on November 19, 2013. More on Sri Lestari's jaunt across Indonesia. Part 1: http://www.youtube.com/watch?v=QKZCu4... | How Sri became paralysed, and why that won't stop her. Part 2: http://www.youtube.com/watch?v=SN1gP9... | Sri tells a paraplegic boy who wants to be a pilot, that anything is possible. Vancouver banned doorknobs. What a sensible thing to to. Let me be the first to say that this is an idea with "leverage!" Thanks to new building code legislation, Vancouver will be the first city in Canada to ban doorknobs. In all new construction starting this March, they will be replaced with levers, International Business Times reported. The ban also extends to all faucets. As of March 2014, all new buildings built in the city will have to include levers rather than doorknobs. In case you are unfamiliar, this is a doorknob, and this is a door lever. If you are not in the building trade, chances are the difference between the two probably seems cosmetic. But the concept behind Vancouver's ban is simple, and makes perfect sense: Door levers are easier to open for older people, people with injuries, or people with disabilities. 19 year old Joey Prusak is the manager of a Dairy Queen in Minnesota. He was working during the lunch rush when a blind man in line dropped a $20 bill on the floor. The woman in line next to the blind man quickly picked up the $20 and put it in her purse. Joey was shocked. When she got to the counter to order her lunch Joey told her that she would not be served until she returned the $20 to the blind man. She refused and Joey asked her to leave. She did so only after creating a ruckus. Not done with being a good person, Joey gave the blind man $20 out of his own pocket. Equal to two hours of his gross pay. Follow a very normal woman doing something very normal - traveling freely across her own country. What would a city designed for the blind be like? Chris Downey is an architect who went suddenly blind in 2008; he contrasts life in his beloved San Francisco before and after -- and shows how the thoughtful designs that enhance his life now might actually make everyone's life better, sighted or not. Chris Downey is an architect who lost his sight and gained a new way of seeing the world. "Around 300 children and their families gathered at JetBlue's Terminal 5 as part of the inaugural Blue Horizons for Autism, a new program from JetBlue and Autism Speaks that aims to help kids with autism become familiar with flying. It's the first autism travel practice event ever held at JFK-one of the nation's busiest airports. The Transportation Safety Authority and the Port Authority also participated in the September 21 event." "If disability studies is to survive and grow, it needs to open up to new perspectives, rethink orthodoxies, engage with critiques, and generate new and better accounts of disabled people's lives and the social exclusion they face. Otherwise it will become ghettoised and irrelevant, forfeiting power and influence in the wider world. Tom Shakespeare*, "Disability Studies Today and Tomorrow"
This year, the topic leaders want to engage conference attendees in a fluid and rich discussion on the evolution and future potential of disability studies and culture. We will have three distinct threads of inquiry - change through time; Impact and Future Potentials. Part self-reflective, part analysis and part 'talk story' as we say in Hawaii, we invite you to submit a proposal in one of the following areas of inquiry.
? How has culture, including disability culture, shaped theory and practice in Disability Studies?
? Is Disability Studies growing up? How has the expansion and integration of Disability Studies curriculum into traditional disciplines altered Disability Studies in both theory and practice?
? How have theoretical perspectives about disability evolved, and what shifts in perspectives to advance the field?
? How have research methodologies in the field changed over time? What are some innovative research methodologies, which can advance inquiry?
? How has Disability Studies changed from its inception, including in the 21st Century?
? How has Disability Studies impacted life experience as it relates to economic security, popular culture, inclusion and self-determination?
? In what ways has bio-ethics affected new directions in Disability Studies?
? How has Disability Studies influenced interdisciplinary fields of inquiry?
? How and in what ways will distance education change how Disability Studies in presented and taught?
? What are and might be the future trends and focus of Disability Studies?
? What are the burning issues that Disability Studies as a field should collaborate across sectors and borders on?
? What are best practices for developing a new generation of Disability Scholars? Please see presentation formats on our webpage at http://www.pacrim.hawaii.edu/presenters/formats Please check the criteria for each format and ensure that you have the appropriate number of presenters for your chosen format. You may submit proposals online at: http://www.pacrim.hawaii.edu/submissions or send your proposals via email toprcall@hawaii.edu. For more information about this topic area, contact: Steve Brown, sebrown@hawaii.edu, 808-956-0996, , 808-956-9218, Norma Jean Stodden, nstodden@hawaii.edu, 808-956-4454, or Megan Conway, mconway@hawaii.edu, 808-956-6166. What are your personal experiences with traveling overseas? Where did you go? Was it accessible? What kind of challenges did you encounter? Sharing your personal travel experiences with Senators will help them understand the issues citizens with disabilities encounter when traveling and living overseas. Let's give them REAL STORIES to share with fellow Senators and others who may not support the CRPD. If you haven't traveled overseas and would like to, what are some of your concerns? Email your story to us at WCDT_Disabilities@comcast.net. I'd also like an open discussion here on Facebook.. So, let's talk about it! We heard Rep. Tammy Duckworth talk about how veterans and others have been told to store their artificial limbs in overhead bins during flights from overseas. She mentioned in her testimony issues concerning military families with special needs. And, we've heard about common issues such as no ramps, elevators, etc. What are your personal experiences and what are your concerns? In line with the Government's thrust of promoting the inclusion of persons with disabilities in the tourism industry and other Tourism-related programs of the government, the National Council on Disability Affairs (NCDA), in collaboration with the Department of Tourism, will conduct a regional forum on Accessible Tourism for Persons with Disabilities on November 26 at Alona Kew White Beach Resort, Barangay Tawala, Panglao Island, Bohol. The forum will also be conducted in pursuant to the universal policies and principles of "Accessible Tourism for All" as provided for under existing statutes, such as Batas Pambansa Bilang 344 (Accessibility Law), Republic Act No. 7277 or the Magna Carta for Persons with Disabilities and the United Nations Convention on the Rights of Persons with Disabilities (UNCRPD). Relevant to this, the forum will also identify major issues related to accessible tourism and recommend policy measures that would create an inclusive, barrier-free and rights-based society for persons with disabilities. Experts on the construction of tourism related establishments will discuss the technical aspects and details of its physical structures and universal design concepts intended primarily for persons with disabilities including the elderly, children, and pregnant women. Likewise, strategies on "Building a Non-Handicapping Environment" and "Web Accessibility" shall also be presented to expound on the importance of having an accessible and barrier-free tourism that will not only benefit local but international tourists with disabilities as well. WASHINGTON - U.S. Transportation Secretary Anthony Foxx today announced that the U.S. Department of Transportation (DOT), in its ongoing effort to ensure equal access to air transportation for all travelers, is requiring airline websites and automated airport kiosks to be accessible to passengers with disabilities. In addition, DOT will allow airlines to choose between stowing wheelchairs in a cabin compartment on new aircraft or strapping them to a row of seats, an option that will ensure that two manual, folding wheelchairs can be transported at a time. 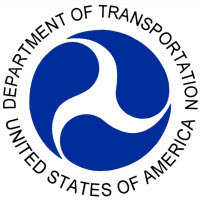 The new rules are part of DOT's continuing implementation of the Air Carrier Access Act of 1986. "All air travelers should be treated fairly when they fly, regardless of any disabilities they may have," said Secretary Foxx. "These new rules build on our past work in ensuring that our air transportation system is accessible for everyone, while balancing both airlines' and passengers' need for flexibility." Under the new websites-and-kiosks rule, covered airlines are required within two years to make pages of their websites that contain core travel information and services accessible to persons with disabilities, and to make all of their web pages accessible within three years. Websites are required to meet the standards for accessibility contained in the widely accepted Website Content Accessibility Guidelines (WCAG). The requirement applies to U.S. and foreign airlines with websites marketing air transportation to U.S. consumers for travel within, to or from the United States. The rule also requires ticket agents to disclose and offer web-based discount fares to customers unable to use their sites due to a disability starting within 180 days after the rule's effective date. Airlines are already required to provide equivalent service for consumers who are unable to use inaccessible websites. Under the new rule, airlines must also offer equivalent service to passengers with disabilities who are unable to use their websites even if the websites meet the WCAG accessibility standards. In addition, any automated kiosks installed at U.S. airports for services -- such as printing boarding passes and baggage tags --must be accessible to passengers with disabilities until at least 25 percent of all kiosks at each airport location are accessible. Even if no new kiosks are installed, 25 percent of kiosks at each airport location must be accessible within 10 years. The standards for accessible kiosks are based on those set by the U.S. Department of Justice for ATM and fare machines in its 2010 Americans with Disabilities Act rule as well as the Section 508 standards for self-contained closed products, such as copiers. DOT's wheelchair rule provides airlines with more flexibility because it permits airlines to transport passenger wheelchairs by strapping them across a row of seats using a strap kit that complies with applicable safety standards, in addition to stowing them in a closet or similar compartment. In 2008, DOT issued a rule prohibiting airlines from using the seat-strapping method on new aircraft as an alternative to stowing the manual wheelchair in a closet or similar compartment. In that same rule, DOT allowed the use of a seat-strapping method on existing aircraft. Based on a fuller evaluation of the costs and benefits, DOT has now revised its position to also allow the use of seat-strapping on new aircraft subject to certain conditions. For example, if an airline chooses to use the seat-strapping method to stow a wheelchair, it must transport two wheelchairs in the cabin if requested unless stowing the second wheelchair would displace other passengers. If an airline chooses to use a closet to stow a wheelchair, then it will still be required to stow only one wheelchair in the cabin. However, in this case it must install a sign or placard prominently on the closet indicating that a wheelchair and other assistive devices are to be stowed in this area with priority over other items brought onto the aircraft by other passengers or crew, including crew luggage. The rule on accessible websites and kiosks is available on the Internet atwww.regulations.gov, docket DOT-OST-2011-0177. In addition to accepting public comments on the web and kiosk rule through this website, the Department partnered with Cornell University's eRulemaking Initiative (CeRI), Regulation Room, designed to improve the public's ability to understand and participate in the rulemaking process. A goal of the CeRI team is to make Regulation Room as accessible to as many users as possible. This partnership supports President Obama's open-government initiative. 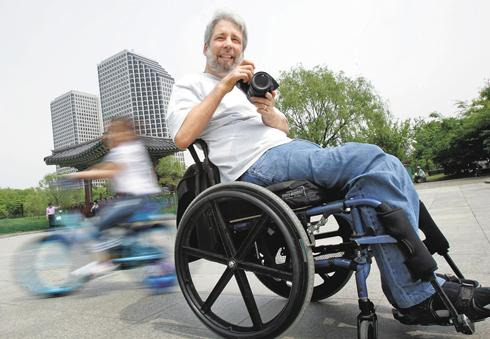 The final rule on wheelchairs is available at the same website at docket DOT-OST-2011-0098. November 4, 2013, Benetech and Bookshare released this press announcement. Disabled Veterans Who Qualify Can Download 20 FREE eBooks with 30-Day Trial Membership! Bookshare FREE TRIAL logo displays veteran in wheelchair and link to membership details. The U.S. Department of Labor, Bureau of Labor and Statistics estimates that 13 percent of all U.S. Veterans, over 2.8 million individuals, now live with blindness, physical disabilities, or traumatic brain injuries. These print disabilities make it difficult, if nearly impossible, to read a newspaper, study a textbook or enjoy a bestseller. With the evolution of digital accessible books, disabled Veterans may have a new lifeline to reading throughBookshare, the world's largest online library of copyrighted books and periodicals for people with qualified print disabilities. Today, Bookshare serves over a quarter million members who are blind, have low vision, a physical disability, or a severe reading disability, like dyslexia. "We want to ensure that all qualified disabled Veterans know about Bookshare and how to easily become a member," said Betsy Beaumon, VP and General Manager of the Benetech Global Literacy Program. "Digital accessible books can break down reading barriers and open a new lifeline to reading to go back to school, learn a new vocation or read for pleasure." For nonstudent disabled Veterans who qualify, Bookshare now offers a free 30 day trial membership to download 20 digital accessible books and use thefree reading tools and apps until December 31, 2013. After the trial, a minimal annual fee of $50 includes full access to a vast collection of accessible eBooks, (over 210,000), including military collections. Titles can be easily searched, downloaded and read on a variety of devices like a computer, tablet, smart phone, or MP3 player. Titles can also be read on a refreshable braille display that uses accessibility features for quick navigation, bookmarking and text-to-speech. Bookshare is free to any U.S. student who qualifies, thanks to an award from the U.S. Department of Education, Office of Special Education Programs. This free membership includes qualified Veterans now attending a U.S. school or university. Disabled Veterans receiving services from the U.S. Department of Veterans Affairs, through the Vocational, Rehabilitation and Employment Program (VET Success), may also be eligible for free membership. Veterans' hospitals and associations please contact Veterans@bookshare.org. For more information and to sign up, visithttp://veterans.bookshare.org/2013free. Sovereignty is a principle that means a nation has control over its own affairs, how its people are governed. The U.S. is a representative democracy. U.S. citizens elect their representatives to Congress and Congress makes the laws. The President, through the Executive Branch, implements them. The federal courts make sure that federal laws, passed by Congress, are consistent with other laws, passed by Congress, and our Constitution. When the President sends a ratification package on an international treaty to the Senate, the President describes how the treaty is consistent with U.S. laws and the Constitution. In the case of the Convention on the Rights of Persons with Disabilities (CRPD) package, the President included specific clarifications related to how the U.S. will interpret treaty language. These clarifications were in the form of three reservations, four understandings, and one declaration (called RUDs for short). In any case if the Senate decides RUDs are not sufficiently clear or that more RUDs are needed, it can amend any ratification package. Whatever the Senate passes, by a yes-vote of at least 67 Senators, becomes the "supreme law of the land" according to our Constitution. Some are concerned that if the CRPD is ratified that the U.N. will have the power to tell the U.S. how it does things with regard to people with disabilities. Those worried fear that a U.N. committee, set up to evaluate how each nation is responding to the CRPD, will write a report judging the U.S. And, whatever is in the report, the U.S. will have to do. Well, the fact is, these reports are not binding. That means a nation may write a response to a report, but nothing in the report forces any action whatsoever. Non self-executing. The United States declares that the provisions of the convention are not self-executing, and thus would not be directly enforced by U.S. courts or of itself give rise to individually enforceable rights. We are in good shape. The U.N. is not going to dictate how the U.S. conducts its affairs with regard to people with disabilities - only the Constitution, U.S. laws, and the ratification package and RUDs contained in it, affect what the U.S. Government does - not a U.N. committee. After reading this, if you still have concerns, I suggest you reach out to a bipartisan pair or group of Senators to develop amendments to strengthen the sovereignty protection now in the CRPD ratification package. Today, Vice President Biden met with the leaders of 20 disabilities and veterans advocacy groups at the White House to discuss the Disabilities Treaty. In the coming weeks, the Senate Foreign Relations Committee will begin considering the Treaty, and the Vice President's meeting served as an opportunity to explain the Administration's strong support for ratification of this important Treaty and to discuss next steps in the ratification process. The Vice President was joined by Valerie Jarrett, Senior Advisor to the President, and Judith Heumann, the State Department's Special Advisor for International Disability Rights. The group met in the Vice President's Ceremonial Office, where Vice President Biden discussed his longtime personal commitment to ensuring that Americans with disabilities enjoy the same opportunities as their fellow citizens to live, work, and travel overseas. He made the case that ratifying the Disabilities Treaty is important because many countries around the world don't have the same high standards as the United States. In many countries, wheelchair ramps, sign language interpreters, service animals, and other accommodations are the exception, not the rule. That makes it more difficult, or even impossible, for people with disabilities - including our veterans and wounded warriors - to work, study, and travel abroad. By ratifying the Disabilities Treaty and encouraging other countries to change that, the United States can carry forward its strong legacy of leadership on these issues, breaking down barriers, and making a real difference for those who have too often faced discrimination, inequality, abuse, or neglect. In addition to discussing the Administration's strong support for ratification of the Disabilities Treaty, the Vice President expressed his appreciation for the groups' work as champions for the rights of people with disabilities. The Administration is committed to doing everything we can to ensure that all Americans - including those with disabilities - have the chance to live up to their fullest potential at home and abroad. To learn more about the Disabilities Treaty, visit http://www.state.gov/disabilitiestreaty. The facts are on our side. We need pro-CRPD witnesses to testify in a way that answers these questions clearly. If they do, we will win round #1. 1. How is the CRPD alike and different from the ADA? 2. What would happen to U.S. laws if the CRPD were ratified? 3. How would ratification of the CRPD affect parents' ability to make decisions about their children's lives? 4. Can someone use the CRPD in a court? 5. What happens to the power of state laws if the CRPD were ratified? 6. Would ratification of the CRPD increase access to health services for people with disabilities? 7. How would ratification of the CRPD affect American business? 8. Is ratification of the CRPD by the U.S. likely to have an impact abroad? 9. What will ratification of the CRPD mean for individuals with disabilities, their families and advocates? 10. Do we need to ratify the CRPD? These are important questions. They deserve clear, full answers.